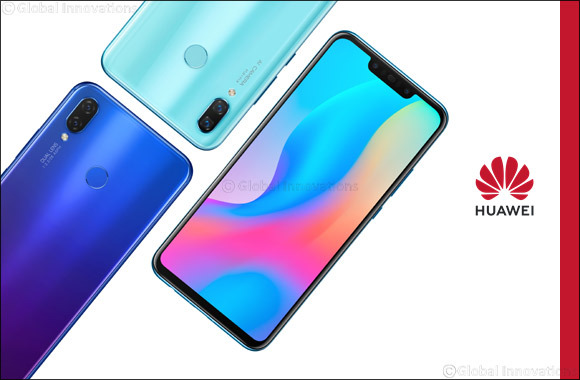 July 19, 2018: Huawei Consumer Business Group (CBG), the global smartphone giant, has announced the launch of its new HUAWEI nova 3 and HUAWEI nova 3i in the UAE. Both smartphones are powered by Artificial Intelligence (AI) in its overall functioning and camera features. With dual front camera (24MP+2MP), users can expect the best-in-technology ‘selfie’ that a smartphone can offer. The HUAWEI nova 3 will be available for pre-order from 15th July, 2018, at the HUAWEI Experience Store located at The Dubai Mall and across select retailers in the UAE, and will be on shelf from 26th July, 2018. The HUAWEI nova 3 will be available in Iris Purple, Airy Blue and Black colours at price of AED 1,799. In addition, the HUAWEI nova 3i will also be available for pre-order from 7th August and will be on the shelf from 16th August, 2018 at the HUAWEI Experience Store at the Dubai Mall and across select retailers in the UAE. The HUAWEI nova 3i will be available in Iris Purple, Pearl White and Black colours at AED 1,299.